Last time we learned how to set up multiple languages and currencies for an eCommerce Magento site in the last Tips and Trick section. In fact, this native translation function is not applicable with all of your static blocks and CMS Pages. Don’t worry, you can fix it with the Inline Translation Magento function. Lemme show you the easiest way to get it done. 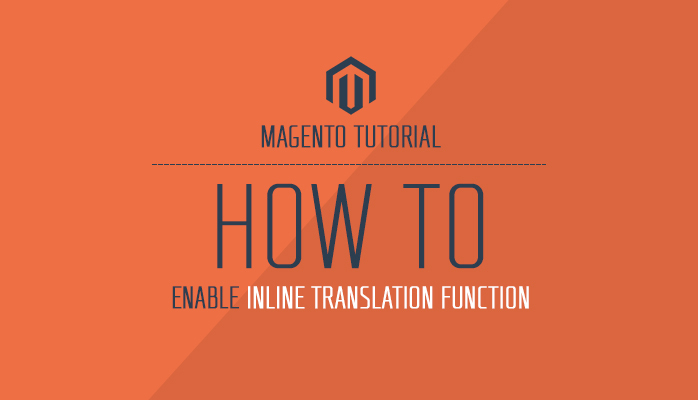 How to enable Inline Translation for your eCommerce Magento site? 1. In your Admin Panel, navigate to System >> Configuration, drop down the Current Configuration Scope on the top-left, select the store view for translation. Say it’s French as in our example. (1) Uncheck User Website box. (2) Set option Enabled for Frontend to Yes. 4. To process Inline Translation, in the front-page, follow steps as below. (1) Switch to your desired store view. (2) Select the element you wish to translate. Click at the book icon. (3) Check Store View Specific field. (4) Once the form was open, input your translated text into the field Custom. (5) Submit your translation to finish. System >> Cache Management and then unflag the Translation option there. Where’s your inline translation text stored? Once submitted, your text will be saved into the CSV files of Magento core. You can edit directly the text in your CSV files at app/locale/xx_XX while xx_XX is the language code e.g. app/locale/en_US for English locale. Hope this tutorial is much of help for you while developing your eCommerce Magento site.